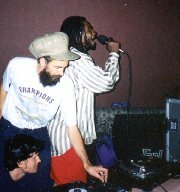 Creeation of Brotherhood Sound System. 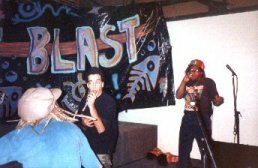 Numerous successful shows in Santa Fe, including College of Santa Fe Spring Bash and CCA Teen Unity Blast. 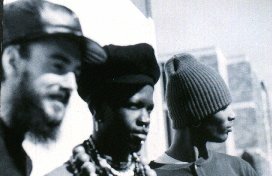 Release of Brotherhood's first various artists cassette 'Shootout at La Canada' featuring Jamaican, German, and American artists. Several shows at Santa Fe Railyard. Don Martin is featured as a special guest on 2 different radio programs in Barcelona, Spain. 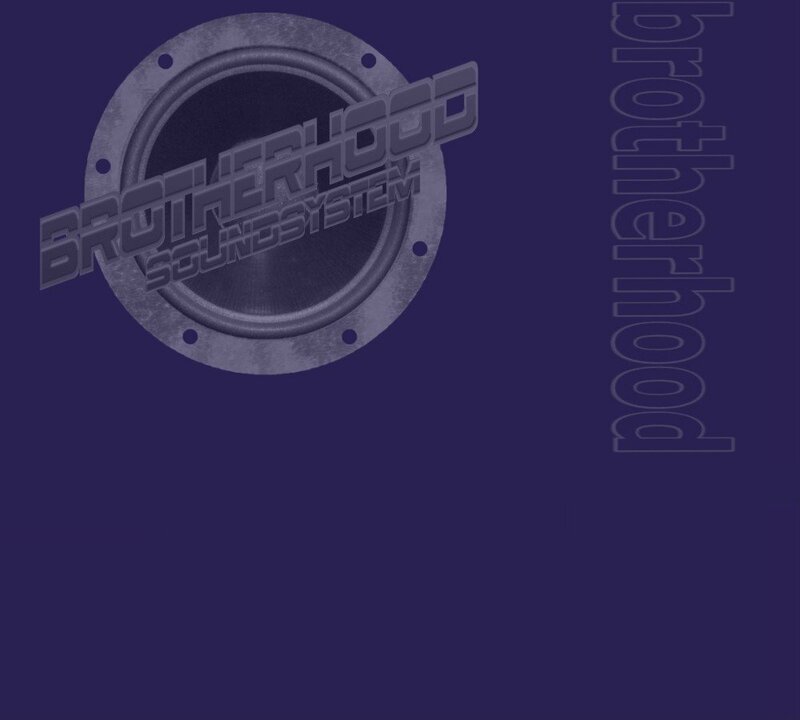 Release of Brotherhood's second various artists cassette, featuring Caribbean, German and American artists. Numerous shows in New Mexico's cities. Brotherhood is the first reggae sound to venture out to the Zuni Indian Reservation in western New Mexico. Relocation to Germany. Collaboration of Brotherhood with Lion Sound in Essen, Germany, laying the cornerstone for future studio projects. Various shows in the Ruhrpott area of Germany. 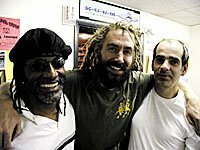 Brotherhood and Lion Sound(with Papa Django) establish themselves as resident selectors at the Lokomotive club in Mülheim, Germany, playing every Saturday night. Continued studio collaboration. Brotherhood and Lion Sound maintain position as resident selectors at the Lokomotive, also playing shows alongside Top Frankin and Lexxus Sound. Don Martin starts working with Natty U, one of Europe's top reggae producers. Brotherhood is the first German, as well as New Mexican sound to touch down in the Gambia in West-Africa. More shows include gigs in Holland and at Juicy Beats festival in Germany, alongside Top Frankin Sound, which was attended by over 5000 people. After relocation back to New Mexico, Brotherhood selector (dj) Don Martin is asked to co-host the Reggae Runnins radio program on KSFR 90.7 fm Santa Fe. Regular, successful shows at Jack's, Club Alegria, and Cat's (all in Santa Fe).Don Martin tours Germany with Top Frankin Sound in October, including gigs in Dortmund, Cologne, Essen etc.Interview with Baby Cham on KSFR. Brotherhood establish themselves as resident selectors at Cat's playing shows every Friday as well as every other Saturday. 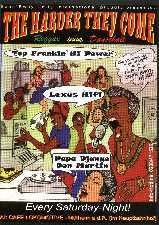 Don Martin continues to co-host Reggae Runnins at KSFR in Santa Fe and also co-hosts a number of programs of the Iyah Music Show on KUNM in Albuquerque. Highlights include interviews on KUNM with Mikey General, Junior Kelly and Luciano,as well as playing & mc'ing for Sizzla. Invited Top Frankin Sound from Germany to be featured at our 9 year anniversary party in September,which is a HUGE success. Brotherhood continues its residency at Cat's in Santa Fe on Friday nights. Don Martin also sets up a weekly event entitled "Reggae Hip Hop Explosion 2002" at the Gotham, one of New Mexico's premier nightclubs, in Albuquerque,in conjunction with WILD 106, a commercial hip-hop/r&b station. In the summer Brotherhood hits the road to go overseas to Germany, where performances are scheduled alongside Top Frankin Sound at JUICY BEATS FESTIVAL (attended by over 10 000 people this year),as well as at the FZW 2002 REGGAE DANCEHALL BOAT PARTY on the MS Santa Monika, and the massive ESSEN ORIGINAL FESTIVAL. Also performed at FOLKLORE IM GARTEN 2002 (Folklore in the garden) in Wiesbaden. This 3 day outdoor event drew almost 50 000 folks. Continued co-hosting of reggae shows on KSFR & KUNM radio by Don Martin and Brotherhood's newest selector (dj) Mr. Kali. Interviews with Ed "Ruffneck" Robinson, Jr.Demus and Pad Anthony on KUNM.